Can't find your cell phone? You can order online! Just click on the button below and we will email you back ASAP. $200.00 Deposit is required prior to delivery. $300.00 Deposit Is required prior to delivery. Appliances, tires, paint, toxic chemicals, and yard waste CANNOT be put in a container. If you have appliances or tires you wish to get rid of, please contact us and discuss the options available for removal of these items. Yard waste tags can be purchased at Parkersburg City Hall for removal of all yard waste. 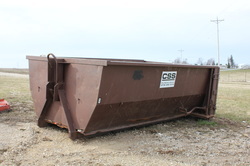 The customer will resume liability for any damages occurred where a container is set. For instance, if a container is set on a yard and it rains, the yard could incur damage to the grass. The customer decides where the container goes, not City Sanitary Service. 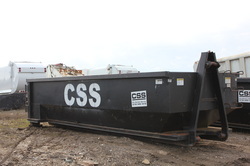 We will work with you to ensure the container is put in the best possible location for ease of use. 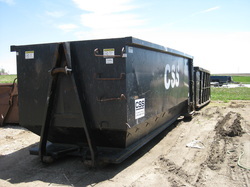 CSS does recommend a level hard service for containers. $250.00 Deposit is required prior to delivery. Appliances and tires must be brought to the landfill separately and cannot be put in a container without prior permission.